One day in her science class Iris, the only deaf student in her class, learns about Blue 55, a whale who can't communicate with other whales. She uses the skills she's gained from fixing radios to make a song for Blue 55 and travels all the way to Alaska to let him know hes not alone. 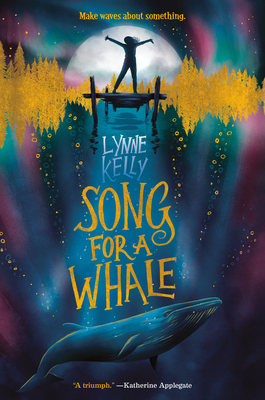 Song for a Whale is about the journey one girl takes in order to connect with a whale who has no one else; I absolutely loved it! Its great for fans of Insignificant events in the Life of a Cactus and Katherine Applegate.